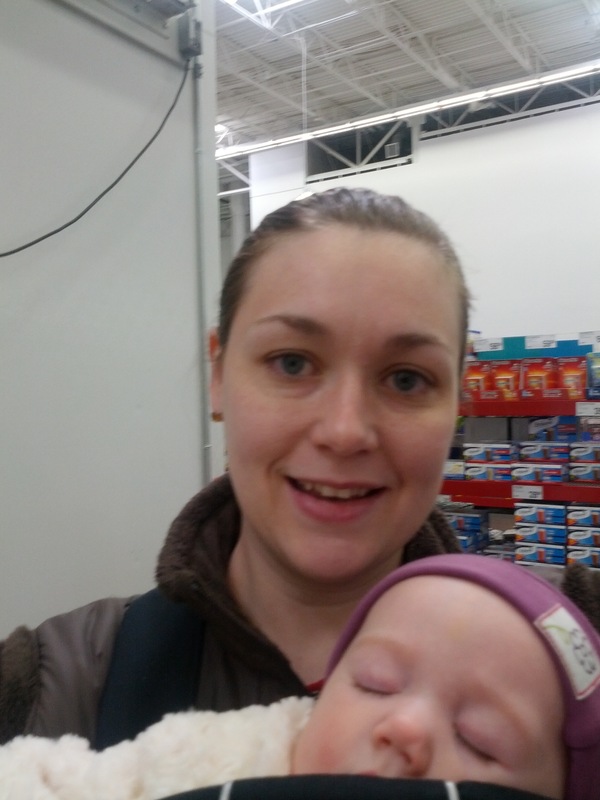 This is my 6th installment of Babywearing Stories 365. Each installment features a babywearer in 1 photograph and their answers to 5 questions. My goal is to normalize, promote and celebrate daily Babywearing, moving beyond *what* we use to carry our babies and shifting focus back on *why* and *where* we carry. I hope to share the stories of moms, dads, and babywearing caregivers all over the world. Enjoy! Laurie first time mom, my daughter Marissa is about 7 months old in this shot. Her dad is somewhere in the next aisle. We are cruising Sam’s Club on a Saturday morning. We are doing our monthly shopping, just out and about on the weekend getting our chores done. We wear her in crowded places, we (her father wears her too) find it more convenient than trying to manage a stroller. We have worn her all over since she was a month old. Marissa attended her first Phillies game around month strapped to her dad. She peacefully slept on his chest for the first 7 innings. Since then we are believers in wearing!